Finely chop cooked & thawed shrimp. In a medium bowl, combine sour cream, mayonnaise, green onions, parsley, lemon zest and lemon juice, salt and pepper. Then fold in the chopped shrimp. Refrigerate at least 30 minutes or for up to 2 days. 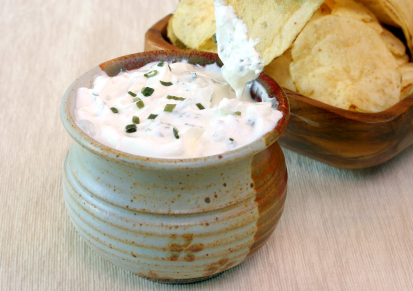 Serve shrimp dip with crackers, bread rounds or chips.